Maclaren, Roy. 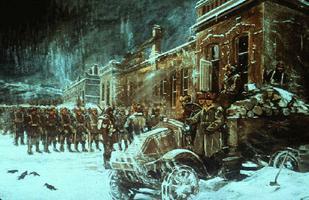 "Canadian Intervention in the Russian Civil War". The Canadian Encyclopedia, 04 March 2015, Historica Canada. 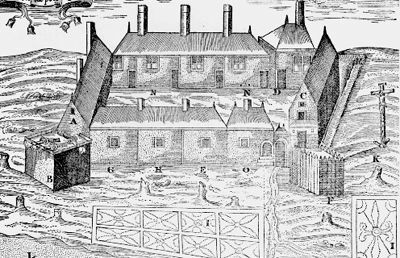 https://www.thecanadianencyclopedia.ca/en/article/canadian-intervention-in-the-russian-civil-war. Accessed 19 April 2019. The Canadian Field Artillery formed part of the expeditionary force sent to Murmansk, and saw fierce fighting south of Archangel. Outnumbered by the Bolsheviks, the Canadians distinguished themselves in battle (courtesy Canadian War Museum). 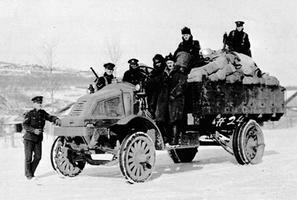 Personnel of the Canadian Siberian Expeditionary Force with truck circa 1919, Vladivostok, Russia (courtesy Library and Archives Canada/C-091749). With the collapse of the Russian Empire in 1917, Germany and Austria had been able to transfer many of their troops from the Eastern to the Western Front, increasing pressure on the hard-pressed Allied forces in Belgium and France. The Allies accordingly undertook to support anticommunist White Russian forces if they would, once back in power, resume war on the Eastern Front against Germany and Austria, a strategy warmly supported by those in London and Paris, in any case, to see the eradication of Bolshevism from Russia. Acceding to pressure from London, the Canadian government dispatched almost 6000 soldiers to join various Allied units in Russia in mid-1918. Although some Canadians died in vicious fighting in northern Russia and in the skies over the Black Sea, most, especially those in Siberia, returned without seeing action. PM Robert Borden recognized that Canada had committed both a political and a military blunder. Canada was henceforth more wary of accepting without its own scrutiny the recommendations of other nations to enter into foreign commitments.